Two warring super-computers play an obscene "video-game" on a worldwide scale, using human slaves as pawns. The woman warrior SAFARI, whose lust for revenge holds the keys to freedom in this sci-fi masterpiece. Years ago, the Killjoys fought against the tyrannical megacorporation Better Living Industries, costing them their lives, save for one – the mysterious Girl. Today, the followers of the original Killjoys languish in the Desert while BLI systematically strips citizens of their individuality. As the fight for freedom fades, it's left to the Girl to take up the mantle and bring down the fearsome BLI! 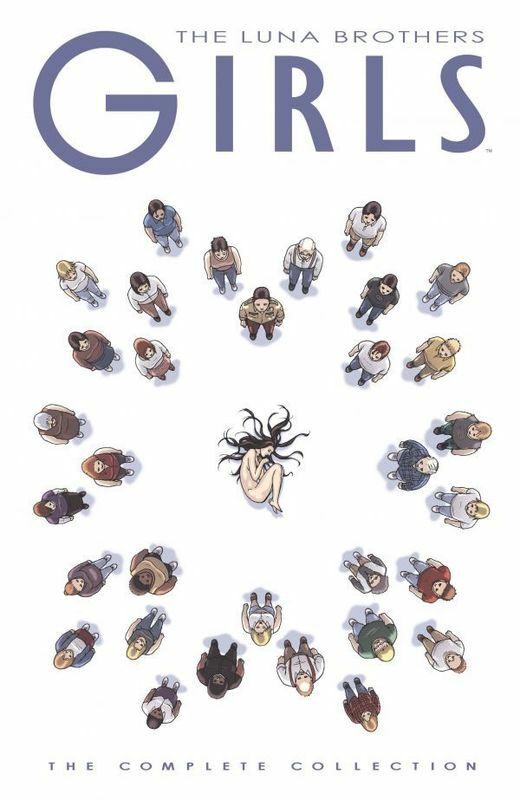 Collects The True Lives of the Fabulous Killjoys #1–#6 and "Dead Satellites" from Free Comic Book Day 2013. From Gerard Way, creator of the Eisner Award–winning The Umbrella Academy! 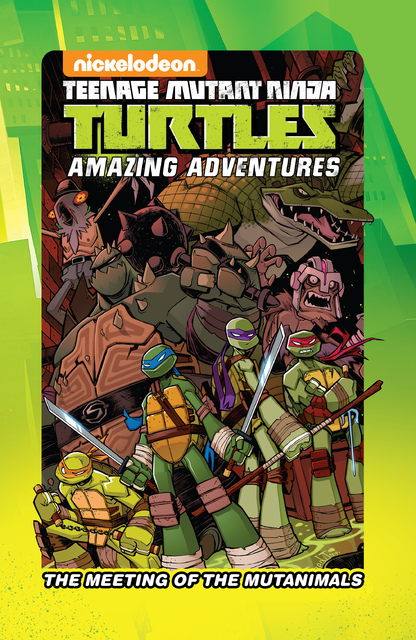 Hardcover limited to 2,500 copies! Hardcover includes an extensive sketchbook with artwork from Becky Cloonan, Gabriel Bá, Paul Pope, Gerard Way, Fábio Moon, Rafael Grampá, and Brian Ewing. 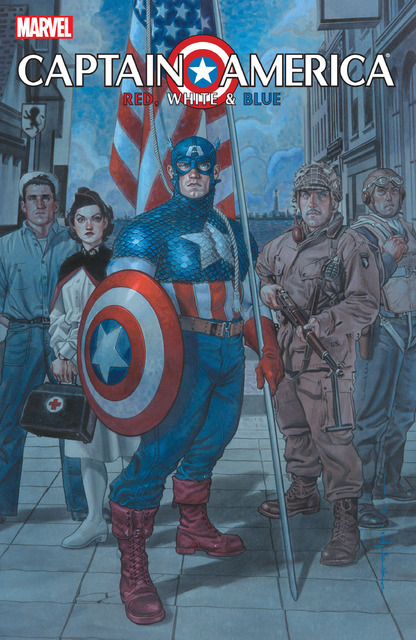 An All-Ages comic featuring the Avengers that takes place in the Marvel Universe Earth-20051. Each issue is a self-contained story arc. The American Southwest, 1428. Turok, a wandering warrior, rescues young Andar from death at the hands of the ruthless Maxtla and his Aztec horde. Turok and Andar seek refuge in a vast cavern, where an otherworldly force sweeps them and their pursuers to a savage, timeless land of rampaging dinosaurs and unimagined wonders. Hunted in a world of danger and death, Turok and Andar fight to survive-and to find a way home. Collects issues #1-#4 of the new Turok series. FROM THE PAGES OF NEW AVENGERS-THE GOLDEN GUARDIAN OF GOOD IS BACK! He's the most powerful super hero in the Marvel Universe, a forgotten legend from a time gone by, reawakened and reborn in the world of today. 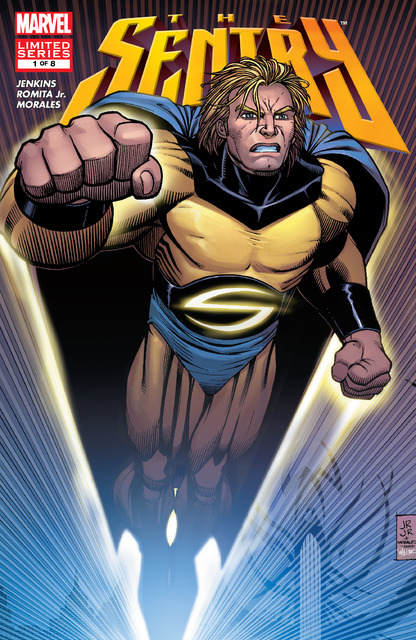 So why is the Sentry his own worst enemy? Featuring the New Avengers, the Hords of Attuma, Terrax the Tamer and more! Collects GIRLS #1-24. This edition collects the complete run of GIRLS by THE LUNA BROTHERS (THE SWORD, ULTRA). Experience the epic horror series about a small town that is invaded by beautiful, murderous, egg-laying clones. EC artist Johnny Craig's graphic style is eerily crisp and contemporary. This collection of 25 Craig favorites includes such shockers as "Horror House!," "Werewolf Concerto," "Terror on the Moors," and the title story, "Voodoo Vengeance" ― along with seven Craig crime classics, including Craig's own personal favorite, "The Sewer!" When Jack Davis took up his pen for EC Comics, he made his innocent victims more eye-poppingly terrified, his ax-murderers more gleefully gruesome, and his vampires and werewolves more bloodthirsty and feral than any other artist. These horror and suspense tales ― from the pages of Vault of Horror,Haunt of Fear, Crime SuspenStories, and Shock SuspenStories ― offer everything a horror fan could ask for: re-animated bodies and body parts, a ghoul who stores bodies like a squirrel stores nuts, a vampire who moonlights at (where else?) a blood bank, greedy business partners, corrupt politicians, jealous lovers, revenge from beyond the grave, and a healthy complement of vampires, werewolves, and assorted grotesqueries. All leavened with the cackling, pun-laced humor of scripter Al Feldstein and illuminated as only the virtuoso brushwork of Jack Davis can present them. A tie-in to the crossover event FOREVER EVIL! The Rogues--the Flash's gallery of villains--call no man boss, but a new evil threat might not leave them much choice! Will they fall in line, or refuse and risk certain death? Will the Rogues be able to take on the Crime Syndicate together? Written by THE FLASH scribe Brian Buccellato, FOREVER EVIL: ROGUES REBELLION brings the Scarlet Speedster's infamous foes into unfamiliar territory: as heroes! Collects issues #1-6 and The Flash #23.3. Donatello accidentally creates a new water-based mutant in his lab. The aquatic ally seems peaceful enough... until the Drip realizes there's a lot more water in the world than Don lets on! Collects issues #13–14 and the Carmelo Anthony Special! PvP, also known as Player vs Player, is an early video game webcomic, written and drawn by Scott Kurtz. The webcomic follows the events at a fictional video game magazine company. Featuring many running gags and references, with a focus on nerd culture. Dylan Meconis was added as a co-writer in 2013. 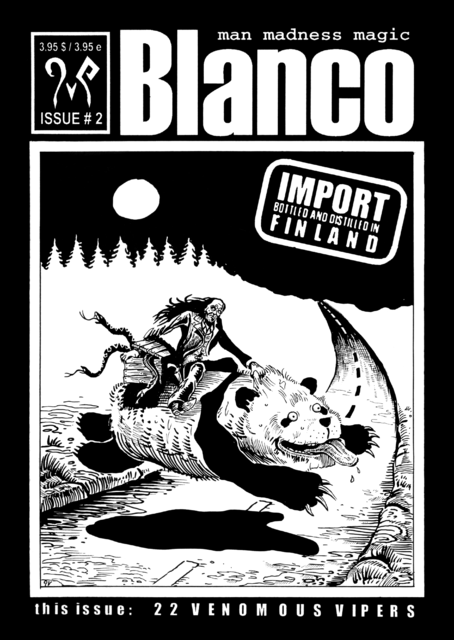 By 2005, PvP was receiving around 100,000 unique visitors per day, and the webcomic has seen various print releases. On February 1, 2007, it became the subject of its own animated series. The hottest, most rocking thing on two wheels returns! Start pumping your fists and banging your head for GHOST RIDER # 1, by writer ROB WILLIAMS (DARK WOLVERINE) and featuring the long-awaited return of superstar artist MATT CLARK (Outsiders, Superman, INHUMANS). Witness the violent birth of the all-new Ghost Rider...come to cleanse the earth in a firestorm of Blood, Oil, and Vengeance! Johnny Blaze has been chained to Hell long enough. With the world thrown into chaos in the events of FEAR ITSELF he is given a chance to rid himself of the Spirit of Vengeance forever...and he takes it. The Ghost Rider curse is passed onto a new host but Blaze has no idea what nightmares his action has wrought upon the world. Will the new Spirit of Vengeance bring us salvation or send this world of sinners to a flaming death? 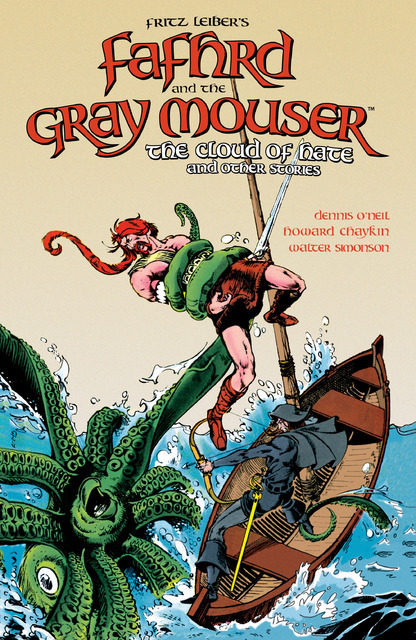 Gray Morrow's career spanned over forty years - he toiled as an illustrator, comic book storyteller, painter, creator of myths and tales, a ghost artist for others behind on their deadlines, and a comic strip artist. His talents were varied and he was consistently good in a profession where quantity was and is sometimes more important than quality. It's clear to anyone who takes the time to look at his body of work that he had point of view that was consistent, compelling, and good to look at. 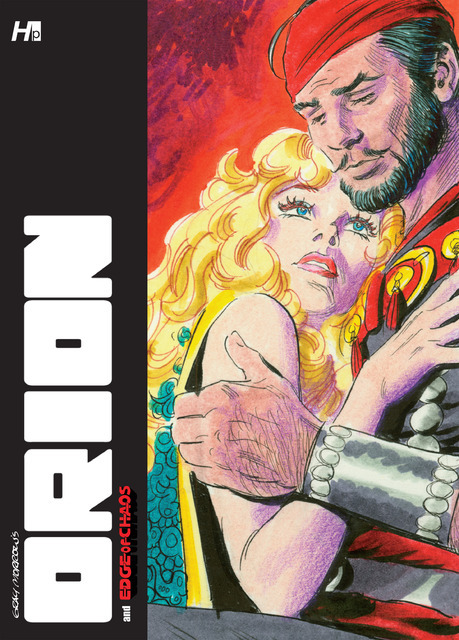 Orion, his homage to the epic "swashbuckler" newspaper strips of the 1930s and pulp sci-fi and fantasy, was published installments in Heavy Metal magazine in the 1970s, but has never been published in its entirety, until now. Read one of Morrow's favorite efforts which bristles with pulp sensabilites, engaging characters, and non-stop action. Also, Morrow's three comic book story arc, Edge of Chaos, his rumination on the Greek myths, is also assembled, for the first time as a complete story to compliment Orion.